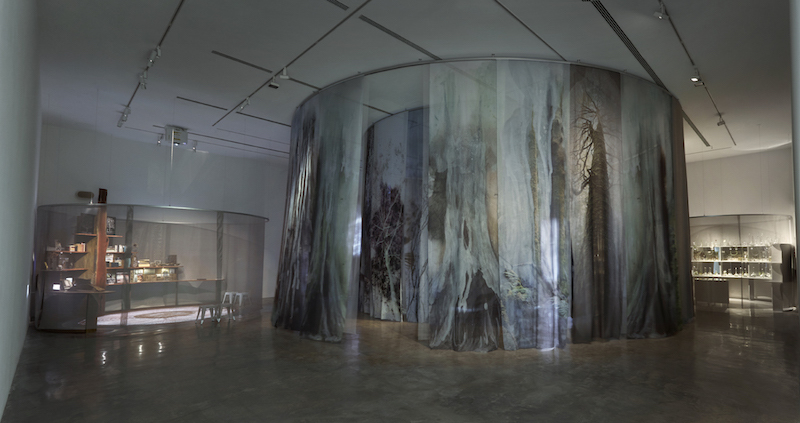 description_ After Nature is an exhibition consisting of both survey and new works curated by Rachel Kent, opening next March at the MCA. The exhibitionwill express our relationship to our fragile environment and an awareness that we are within the era of the ‘Anthropocene’. 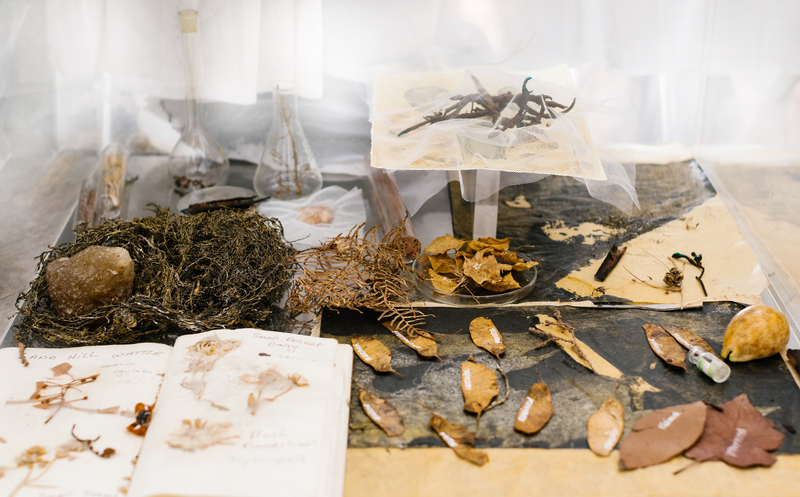 Early alchemical works will be represented alongside recreated environmental installations such as Birdsong, Heart Shock: Blood and Chlorophyll, Deep Breathing: Resuscitation for the Reef, Vanishing andCellular Gardens. These works explore the poetics of space and materiality, dealing with our experiential and cultural relationship with the natural world. Many of these works bring into light specimens from the stored natural history collections of the Australian Museum and the Museum of Applied Arts and Sciences. Janet’s new work, Theatre of Trees, will form the circular nucleus of the show. It addresses our cultural, political and biological relationship to trees as well as the fragility of our natural environment. Janet’s body of works and public events will bring us into the botanical world and articulate our interconnection with it. It creates fugitive spaces that express nature’s ephemerality through a language of veiling, transparency and translucency. The exhibition will promote environmental awareness and stewardship at this critical time for our planet.